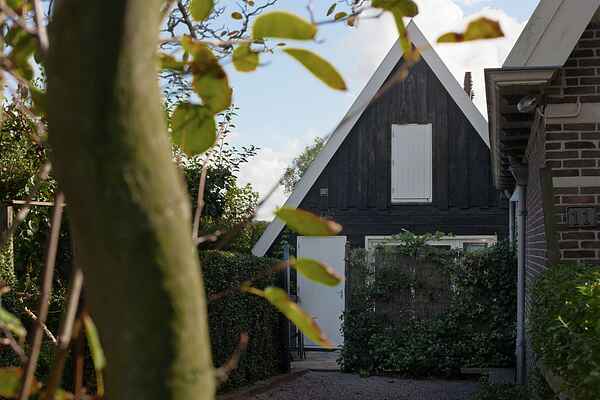 The semi detached holiday home is situated at the edge of the North-Holland village of Krabbendam. The home, located at the foot of the West-Frisian circular dike in the municipality of Harenkarspel, is suitable for two people. The holiday home has an open floorplan; the living room, kitchen and dining room are one. You reach the bedroom through sliding doors on the side of the seating area. The whole is comfortably decorated so that you will truly enjoy your stay. From the kitchen/dining area you reach the garden, complete with a lovely sitting area. The perfect place to have your breakfast during nice weather. The home is adjacent to the home of the owners. Go and explore the West-Frisian circular dike by bike. This special dike is 125 kilometers long, it meanders through the beautiful North-Holland landscape and ends in the historical villages of Hoorn and Medemblik. The beach of Schoorl is only 30 minutes away by bike. Are you up for a bit of climbing and descending? Go for a climb in the Schoorl Dunes, the highest dune area of the Netherlands in North-Holland, there's lots of room to have fun. More than 60 kilometers of walking paths bring you to the highest, drifting sand dunes and the oldest forests.